It’s great to see your version! I tested View C and like you really can’t wait to make up the finished pattern. You’ve got me thinking about making the dungarees for sure. These look great! 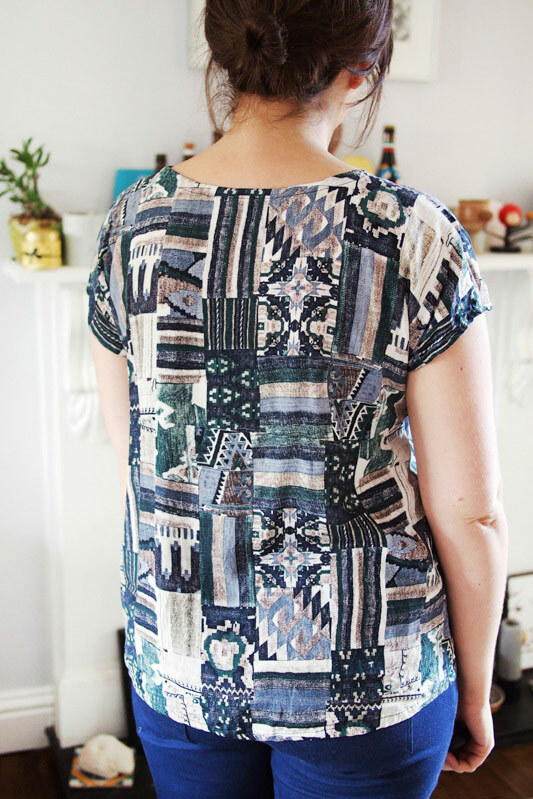 I love the triangle seaming on the back. I just bought the pattern… I think I’ll start with the top for myself, then ease into the jumpsuit. My mom has a thing for overalls/dungarees, so I may make her a pair for her birthday. You are totally rocking these pieces!! 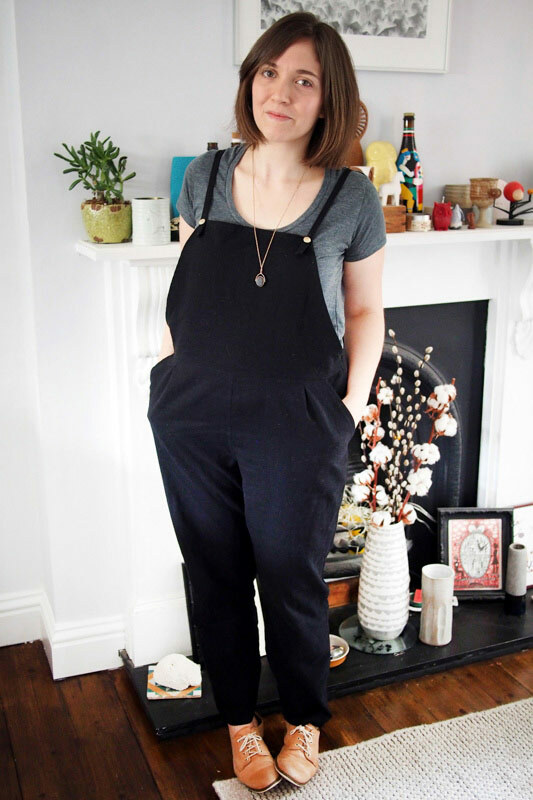 I haven’t really been tempted by a dungaree pattern before – but this is seriously cute! And the top is such a great, yet simple fit. Awesome! 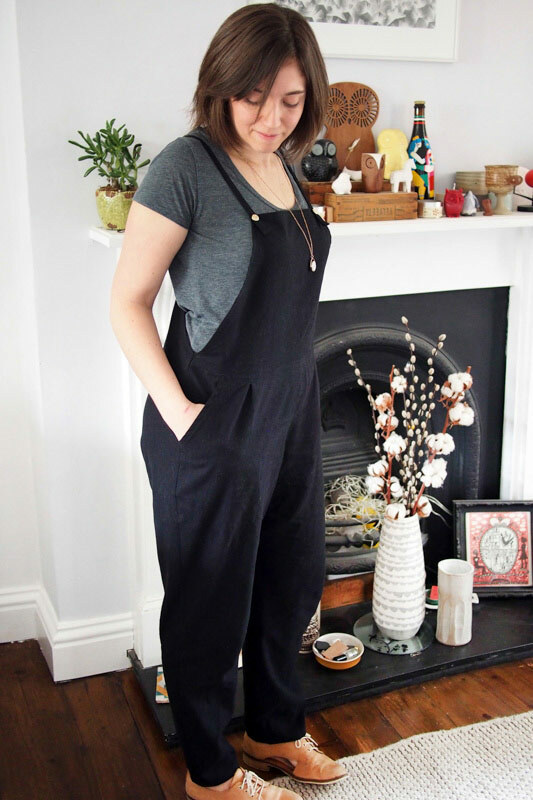 I love these dungarees – so practical, versatile and they look great too! 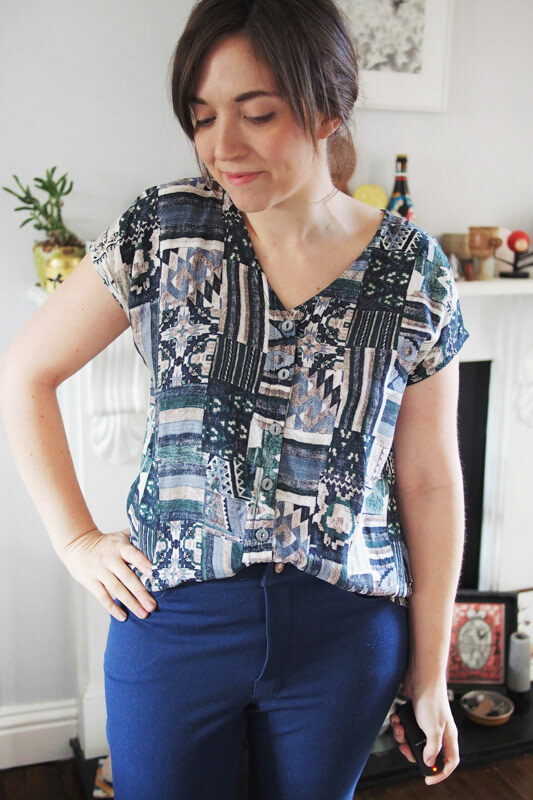 I admire Marilla’s designs/style – I am making her Sailor top at the moment. 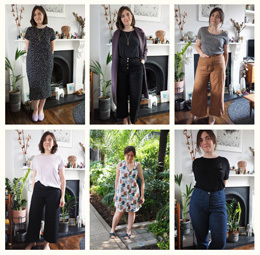 I must buy The Roberts pattern as its a super capsule wardrobe in one pattern! Seriously cute! I love everything I’ve seen made with this pattern. Love your dungarees. So stylish and cute. 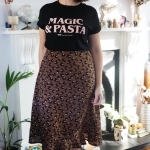 Marilla’s pattern is fantastic, you’re spoilt for choice on what to make. I’d like to try making them in a soft needlecord, chambray and linen. I really want the jumpsuit in dark chambray! Man, I haven’t worn a pair of overalls since I was a teenager… It’s not a style I’ve been tempted to go back to, but yours are seriously cute! I especially like the blouse though, the shape is really great. Maybe because I never wore them first time round it’s easier this time, ha ha. Love yours, i want patterned ones too for sure! 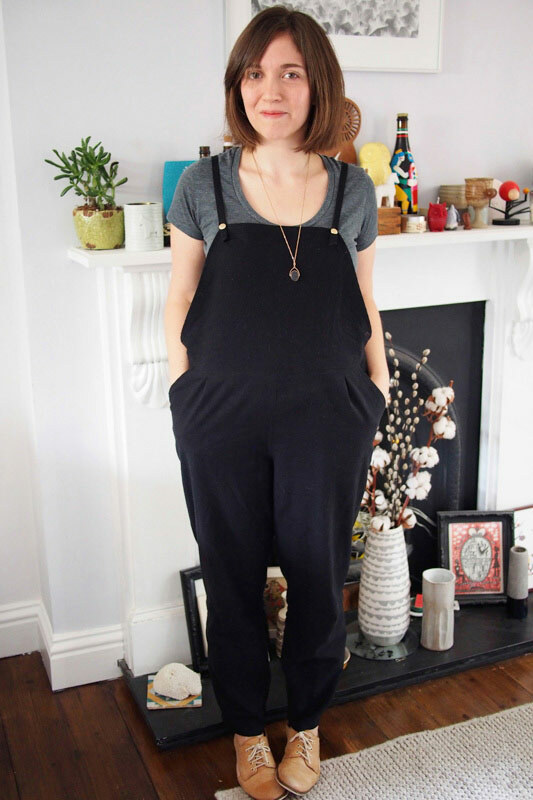 these look lovely, the thin straps balance out the bigger shape of the dungarees. I would pick this one, to save pattern fiddling, if you’d like a kimono sleeve. I’m not a huge fan of dungarees/overalls but I do like the versions I’ve seen on this pattern. It’s got a clean, modern feel to it. 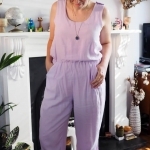 That said I still vividly remember walking out my front door – which had a giant step down… and my dungarees strap got caught on the door handle as I stepped down & found myself dangling front to front door in a very unexpectedly and abrupt fashion!!! I wasn’t a fan before to be honest, but I’m swayed! No waistband = soo comfy. love both of these. i want to make the overalls in a shorts version next spring. now im wanting to make the blouse too. Your dungarees are so wonderful!! 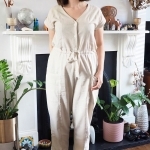 I’ve bought the collection but have yet to download – may I ask, I can’t see the button version in the pattern collection for the super blouse you made – did you just use the top half of the jumpsuit rather than the blouse pattern? Thank you! Wooow I need these in my life!